Rumors abound that the Minnesota Twins may be charting out a course for Kyle Gibson to join the Major League team's rotation. He's probably one of the five best starters in the Twins organization, but how much of an impact will he actually have upon arrival? Whether you're a Twins fan, a fantasy player, or both, what can we expect from Kyle Gibson? Twins fans have been waiting on Kyle Gibson for four years. The Twins selected Gibson 22nd overall in the 2009 MLB Draft. His stock had dropped because of a stress fracture in his wrist. If he hadn't been hurt, he would have been projected as a Top 5 pick. 2009 was not only the first time the MLB draft was televised, longtime readers will remember that was the first time we took notes during the draft. We thought Kyle Gibson was a good risk because the arm injury wasn't in his shoulder or elbow. We wrote that Gibson at 22nd overall could be the steal of the draft, but we were off by 3 picks. The Angels selected Mike Trout with the 25th overall pick. 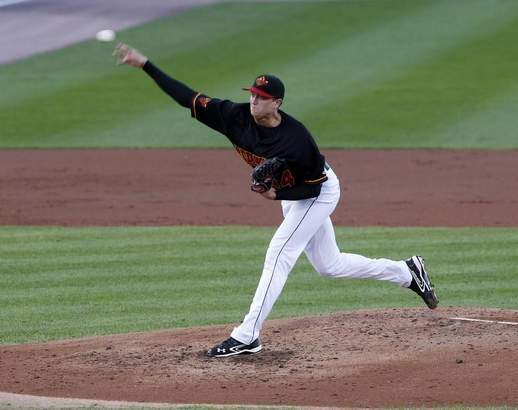 Kyle Gibson's ascension to the Major Leagues has been sidetracked by Tommy John surgery in September 2011. He's an older prospect, turning 26 on October 23rd, the scheduled date for Game 1 of the 2013 World Series. In terms of stuff, Kyle Gibson is known to have good command while relying on a fastball that sits around 91-92 mph. He's listed at 6'6" 210 lb, so he should throw with a good downward plane on his pitches. In his minor league career (368 innings) over four Minor League levels, Gibson boasts a career 3.45 ERA, 0.6 HR/9 and 3.3 K/BB ratio. His Earned Run Average rises by level, but stats acquired while recovering from reconstructive elbow surgery are less significant than numbers produced while pitching healthy. Fangraphs shows his Fielding Independent Pitching stats for each minor league stint. The highest FIP he ever recorded was in 2011, when he pitched to a 3.67 FIP in Triple-A. This year, in Triple-A, he has a 2.96 FIP. How Kyle Gibson handles big league left-handed batters could determine how productive he will be for Minnesota. Fantasy players would care what kind of run support and defense Kiyle Gibson will get after a promotion to the Twins. Advanced metrics do not agree on the worth of the 2013 Twins defense. Baseball Info Solutions ranks them 11th out of 30 in Defensive Runs Saved, but Ultimate Zone Rating ranks them 26th with a -17.2 UZR. Let's take that to mean that we don't know how good the Twins are at defense. How about their offense? It's probably the 10th best offense in the league, averaging 4.2 runs per game. There are really cool ways of measuring the performances of their individual batters. For example, the Twins are ranked 20th out of 30 MLB teams (10th out of 15 AL teams) in wOBA. According to Fangraphs, they are not especially good base runners. They are ranked 11th out of 15 American League teams in base running. Looking specifically at the bottom line, the Twins rank 10th in the AL in runs scored and runs scored per game. 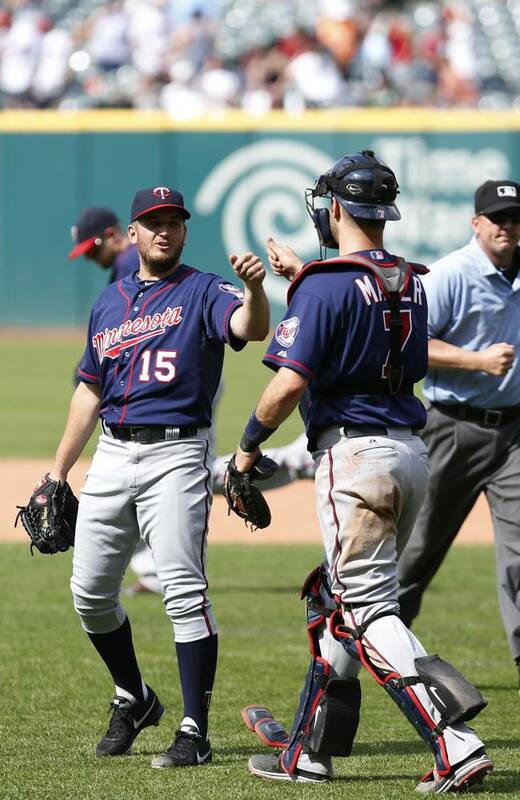 The best thing Minnesota Twins starting pitchers have going for themselves is their bullpen. Twins relievers have a 2.84 ERA, which is best in the ERA and only trails the Braves' 2.82. The Twins bullpen has the best FIP in all of baseball (3.16). Until/if they trade Glen Perkins, Twins starters should have as much confidence as anyone in their teammates' ability to protect their leads. All in all, we expect Kyle Gibson to be a valuable part of the Twins rotation for the next handful of years. His fantasy value should be eminent immediately. Unless left-handed batters absolutely hammer him in the big leagues, he should be worth a flyer in just about any fantasy league. What do you think? Does Kyle Gibson sound like the real deal?